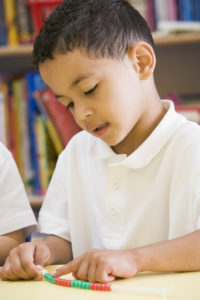 SCOPE Education Services is the largest child care provider in the state of New York, serving more than 6,000 students. All SCOPE child care programs are licensed by the New York State Office of Children and Family Services and are operated in public schools on Long Island. SCOPE Child Care programs provide a safe, fun, caring environment for the children of working parents. A variety of age-appropriate supervised games, sports, arts and crafts, and enrichment opportunities are offered, as well as healthy snacks, scheduled homework time and daily opportunities to socialize with peers. To obtain a registration packet, please call (631) 360-0800, ext. 100, 123, or 131. When leaving a message please indicate your name, mailing address, phone number and the location of the program for which you wish to register. All staff undergo an extensive background check and meet or exceed all requirements set by the state of New York. The programs maintain a staffing ratio of one adult to ten children at all times. SCOPE program supervisors and field trainers oversee the programs. In addition, OCFS inspectors visit the programs regularly. Parents pay all fees directly to SCOPE. The basic fee for 2018-2019 full-time P.M. students is $318.00 per month. Students may attend on a part-time basis for a minimum of ten days per month at a rate of $180.00 per month plus $18.00 for each additional day. The basic fee for full-time AM students is $251.00 per month. Students may attend on a part-time basis for a minimum of ten days per month at a rate of $147.00 per month plus $14.70 for each additional day. Tuition for full time A.M. and P.M. attendance is $552.00 per month. Fees are subject to change. Please contact SCOPE in order to obtain information regarding available programs and specific fees for your school district. For further information, please call (631) 360-0800, ext. 100, 123, or 131: When leaving a message please indicate your name, mailing address, phone number and the location of the program for which you wish to register.